Biosphere Environmental Education began in 2014. It was the realization of a 30 year dream in the making, a dream had by founder and president, Shelley Ball. 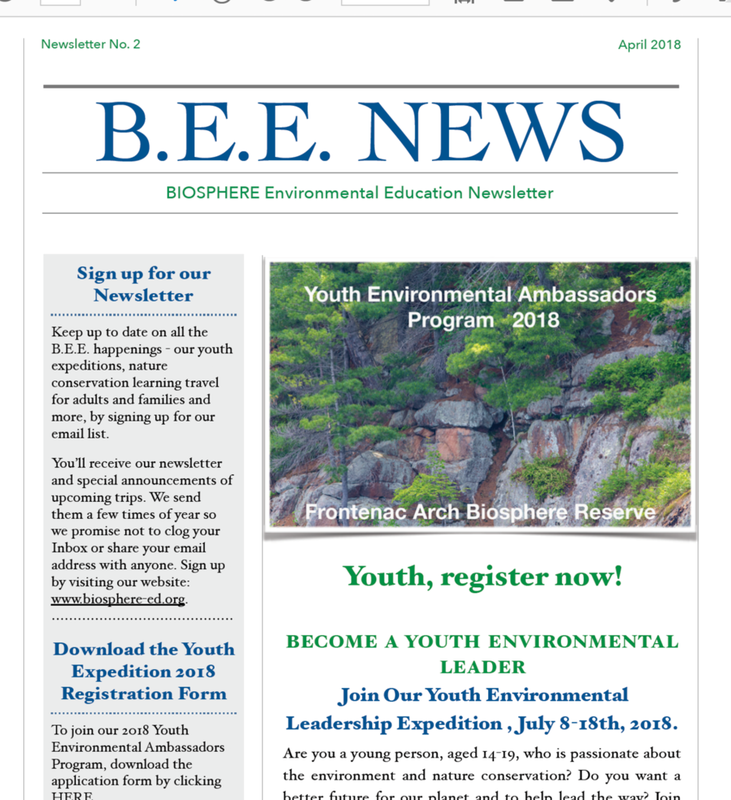 In early 2016, our organization was incorporated, to become Biosphere Environmental Education Inc. and Donna Pretty jointed the organization as vice president and CFO. At the core of Biosphere Environmental Education's environmental learning expeditions and particularly our Youth Environmental Leadership Expedition program, is environmental communication - both photography and film making as well as writing and public speaking. Youth expedition participants will be taught environmental photo-journalism and film making as a means of telling their own story of their expedition experience, their connection with nature, their concern for the environment, and their call to action for protecting earth's incredible places and species. This is what makes Biosphere Environmental Education's expeditions different from any others around the world. Even for our expeditions for adults, we offer optional photography, film making, and public speaking education as part of our trip. Sharing our experiences and our images through connection with others is an important part of BEE's philosophy, one which we love to share with others who are like-minded. Biosphere Environmental Education's mission is to connect people to nature, to educate them about its importance and value; to inspire people to love nature and to motivate them to cherish it and protect it. Shelley is Biosphere Environmental Education's founder and president. Creating Biosphere was a 30 year dream in the making for her. As a biologist and educator, Shelley has always been passionate about nature and about sharing her love of nature with others. 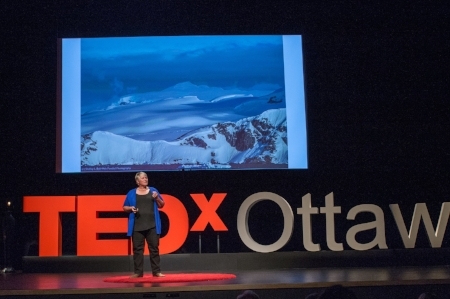 She has done this through her work as a university professor - especially through teaching and taking students on field courses around the world - as a photographer, giving audiovisual presentations on nature and the amazing places around the world that she has experienced first hand - and as an environmental storyteller. Shelley has PhD in biology (ecology, evolution, and population genetics) from the University of Missouri (Columbia) and an MSc from the University of Toronto and has nearly 30 years of teaching experience, having taught undergraduate and graduate courses in university, but also through volunteer teaching she has done with kindergarten and primary school kids. She is passionate about sharing her love of nature with all ages and does presentations for clubs and organizations. Shelley is also a TEDx speaker. In September 2017, she was one of 6 speakers at TEDxOttawa. The theme for this even was Who Knew? Shelley's TEDx talk was about her own personal journey of overcoming obstacles and how passion, grit, and resilience allowed her to do extraordinary things. She also talks about how her grade 5 teacher at Arch Street Public School in Ottawa, in 1975, changed her life by helping her to get past her learning difficulties and begin to achieve success. Her talk will inspire those struggling to never give up. Passion, grit, and resilience can enable ordinary people to do extraordinary things. Click HERE to watch Shelley's TEDx talk. Shelley speaks on a diverse arrays of topics including nature, photography, education, conservation, women's leadership, career and professional development, and more. To book a speaking engagement with Shelley, please click HERE. Shelley is also a certified career mentor and life coach and enjoys working with people of all ages to help them find their passion and the career that feeds it as well as realizing the dreams that we want to become a reality. In December 2016, Shelley was one of 76 women from around the world who were selected as members of the inaugural Homeward Bound Women In Science Leadership Expedition to Antarctica. The purpose of Homeward Bound is to elevate the role of women in science and to help women achieve senior leadership roles in science globally, influencing policy and decision-making in ways that will help us create a sustainable future for our planet and for us. Shelley is passionate about environmental communication - sharing messages about the environment and calls to action on environmental issues - through photography and environmental storytelling. As a research scientist, she uses published science research to underpin her messages about the physical and mental health benefits of spending time in nature. Shelley's passion for environmental communication is a core component of BEE's environmental learning expeditions. She is also passionate about supporting women in science, women's leadership, and women in STEM. Shelley connects with nature through travel, kayaking, hiking, gardening, and photography. She serves her community through volunteering with the Mississippi Madawaska Land Trust (including working as a science manager for their cutting-edge bioacoustics monitoring research). She also spent 3 years as a volunteer photographer the Lanark Animal Welfare Society, photographing cats for their adoption page and producing a fundraising calendar..